7. Are you on The Main Street Diet? There are many reasons why people are overweight and unhealthy. Together, we could come up with hundreds. The next time you drive down your Main Street observe. Here’s what you will see: many fast-food restaurants, convenience stores, and junk food served at every checkout counter. Once you leave Main Street (www.TheMainstreetDiet.com), you will be much healthier. 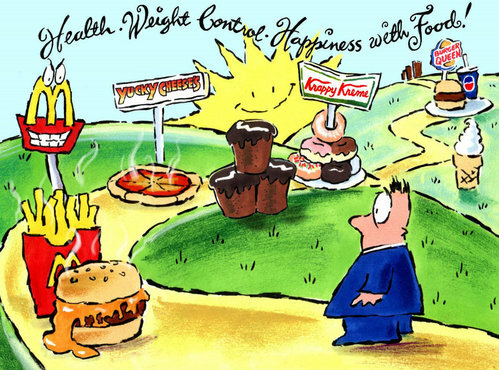 Dr. Yoni Freedhoff examines and explains the bizarre food culture we live in.